Woman having a migraine headache. Botox is a toxin that binds to the area where the nerve and the muscle meet and prevents the muscle from contracting or paralyzing the muscle. Botox is not just used for cosmetic procedures, and its first application to medical conditions include the condition known as Spasticity, which is associated with various neurologic conditions. Examples of these conditions include: Post Stroke or Spinal Cord Injuries. Botox has also been used in Musculoskeletal Pain, when trigger points are refractory to other injections. Spasticity – May be effectively treated with Botulinum Toxin injections with EMG guidance to localize the motor point of the involved muscle. The amount of Toxin injected will vary on the size of the muscle involved. In general the injections last about 3-6 months. Migraine Headaches – Migraine headaches, which are refractory to other treatments, have been effectively treated with Botox injections to the head and neck. 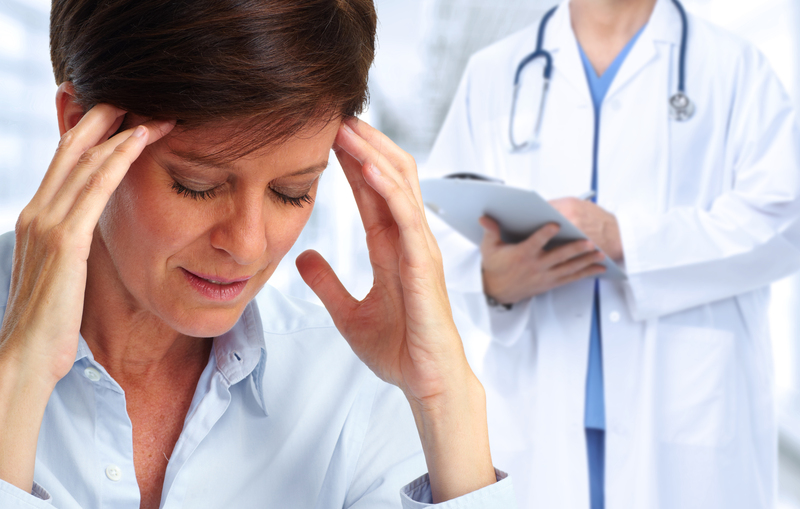 There has been an effective protocol studied to provide significant improvement in patients with refractory migraine headaches. Botulinum Toxin Trigger Points are performed after the area is cleaned and sterilized and a small needle is used to inject a mixture containing Botox into the trigger point. The needle is removed and the injection site is covered with a sterile bandage. The patient is given a pain diary to record the amount and duration of pain relief. The relief from the injection may take 2-3 weeks to kick in fully, but the duration of the injection should last 3-6 months or longer. EMG guidance can also be used in some cases.